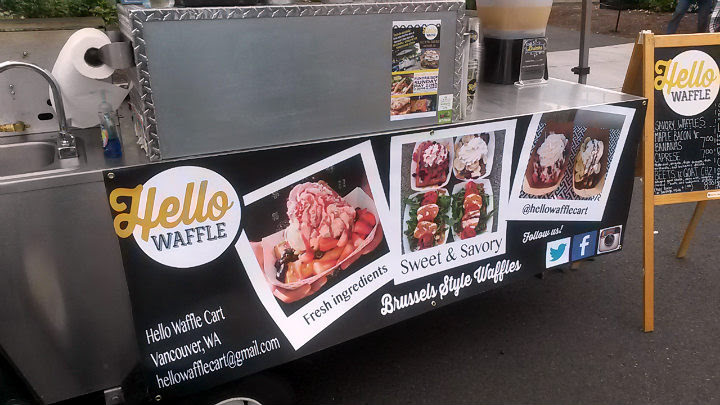 Hello Waffle is a food cart located at various rotating locations in Vancouver, Washington (and sometimes in Portland, Oregon). 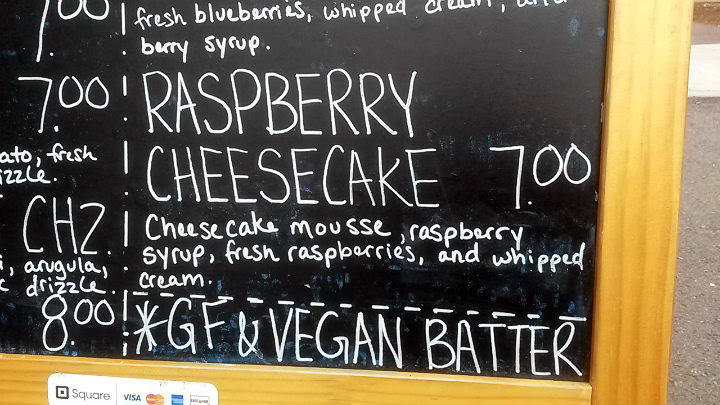 For this blog post, I spotted them at the Vancouver Farmers Market on a Saturday. Got this tip from a coworker who knows my fondness for food carts and trucks. Heck, I even spotted my neighbors at this cart - and even they had high praise for Hello Waffle. I was practically sold after that. 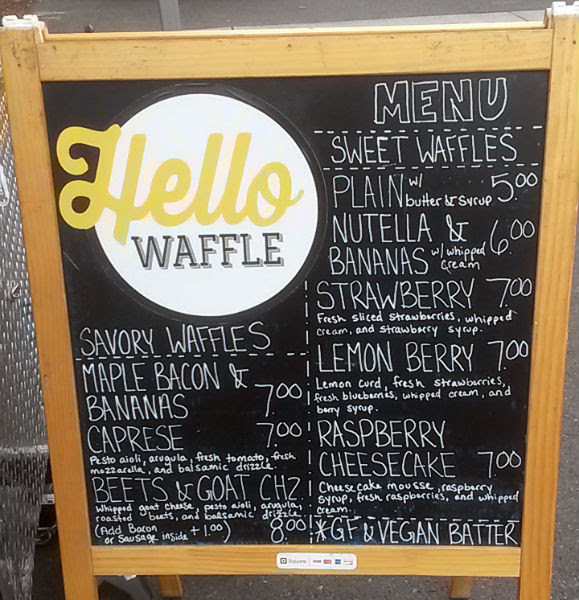 The menu has a couple of savory choices and a handful of sweet options. 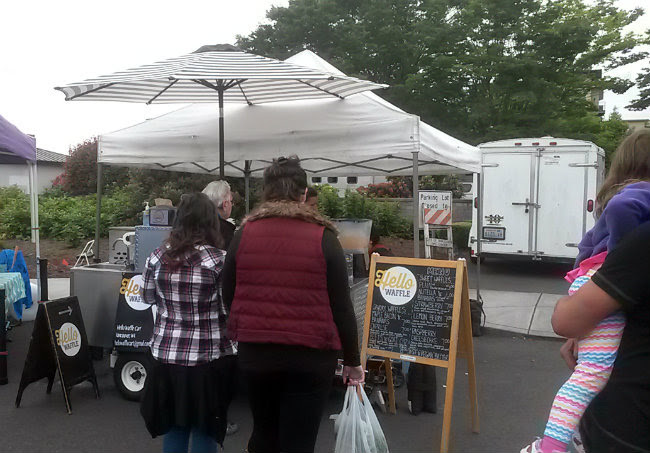 They may also do collaboration menu items with other food trucks in the area. On this day, the Raspberry Cheesecake Waffle ($7) called my name. 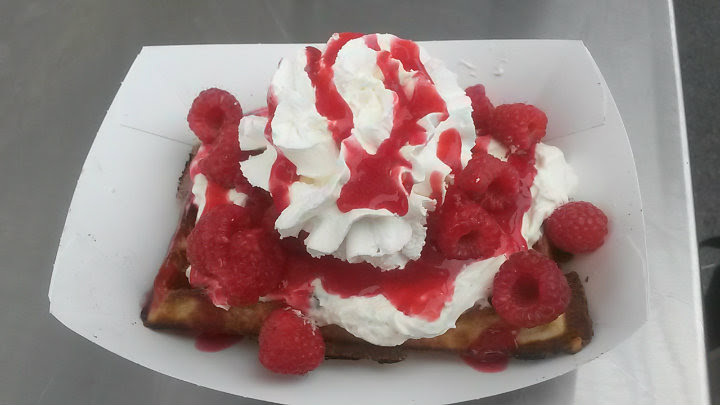 Cheesecake mousse, raspberry syrup, fresh raspberries, and whipped cream on their signature waffle. First off, they don't hold back on the toppings - a huge plus with me. 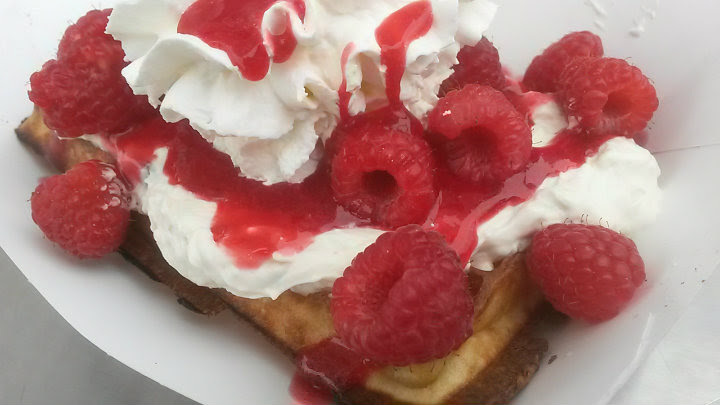 A healthy coating of the cheesecake mousse, a bunch of raspberries, and whipped cream for days. 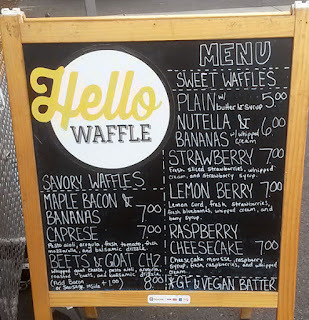 More importantly, the waffle was one of the best I've had. Slightly crunchy on the outside, golden brown, and cooked enough to stand up to the abundance of toppings. How they got the fluffiness on the waffle, I will probably never know. I could easily cut that thing with my plastic fork. Impressive and delicious. My neighbors got the Caprese ($7), which had pesto aioli, arugula, fresh tomato, fresh mozzarella, and balsamic drizzle. 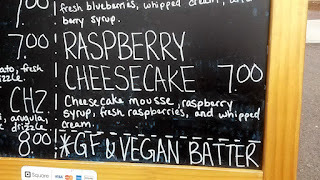 While I didn't snap a pic, I can confirm it looked as amazing as the description puts it. Hit up their Facebook page for where they will be next! They are very good at updating things.